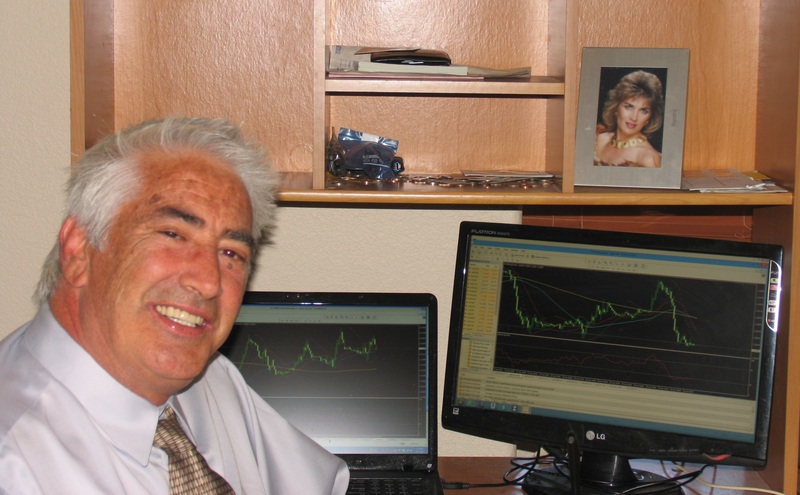 Dale Pinkert is the anchor and host of FXStreet’s Live Analysis Room. Since some time ago he suffers from cancer. As Dale tells people that are having difficulties in trading to let go of their pride, ego to ask for help, he is taking his own advice reaching out for financial assistance now as he battles colo-rectal cancer. Join the fight with Dale. Born in Chicago, Ill. May 27th 1953, he grew up in Skokie Ill, attended Niles North High School and then earned a B.S. degree in Journalism from Northern Illinois University. He began his career in financial markets on the trading Floor of the CME. Dale in recent years has turned towards building his legacy through his teachings and analysis to assist traders on all levels. He has built up a community of people who help each other by sharing their hard fought knowledge with a generous spirit. In April, Dale was diagnosed with Colo-Rectal Cancer, he has since completed 6 weeks of Chemo-Radiation therapy and is healing from that in front of surgery this Fall. Dale is married to his wife Ann and has 3 stepchildren. All the funds raised will go to Dale’s treatment. On Dale’s behalf, thank you. Hi Dale, don’t give up. I read CURCUMA can help in these cases. You don’t lose nothing trying it. You will be in my thoughts and prayers. My bride is a brain cancer survivor (twice). She won’t give up the fight and neither will you. God Bless buddy. Really wishing for your speedy recovery. The Lion will fight back and remain the pack leader !! Again tomorrow if required. Haven’t felt this good since 2007. Good luck and keep moving ahead ! I wish you all the very best in your fight against cancer. My prayers for your quick recovery. I’m saddened by this but also absolutely astounded by it. How is it that someone with his pedigree, background, business model and exposure of FXStreet.com has to ask for donations? I think it speaks deeply to problems with trading forex or being in the business of forex and how difficult it is, despite appearances, to actually make a good living from it and cover you basic life needs like health insurance. I’ve been in that exact spot and is why I walked away in 2009. Dale I wish you all the best and hope you have a speedy recovery. From one old trader to another if there is anything I can do, let me know. On behalf of Dale Pinkert, I would like to thank you all your support. Hi Dale, I appreciate that you reached out for a help. The help you actually “need” might not be the one you ask for. There’s a saying we are our own worst enemy and my take is that it’s our resistance to what is that causes us taking it personaly and thus fighting it. If fighting cancer (or any other challenge) would really work..there would be a lot more success stories, don’t you think? Similar to trading..it’s an inside job. Would you fight your trading loses? I guess not..so why would you fight cancer? It’s an opportunity to grow just as trading loses are. With cancer it’s just an opportunity of magnitude. As such, would that be something to fight or actually something to embrace? It requires a shift if our perceptions of what is. Remember your trading motto from W.D. Gann? If you are interested shoot me an email. Good luck and remember who you trully are. I was devastated to hear this news. My thoughts and prayers are with you and I wish you speedy recovery. Best wishes and thanks for sharing your experience. Next Next post: Guess NFP today’s data and win a trading pack valued at $200!